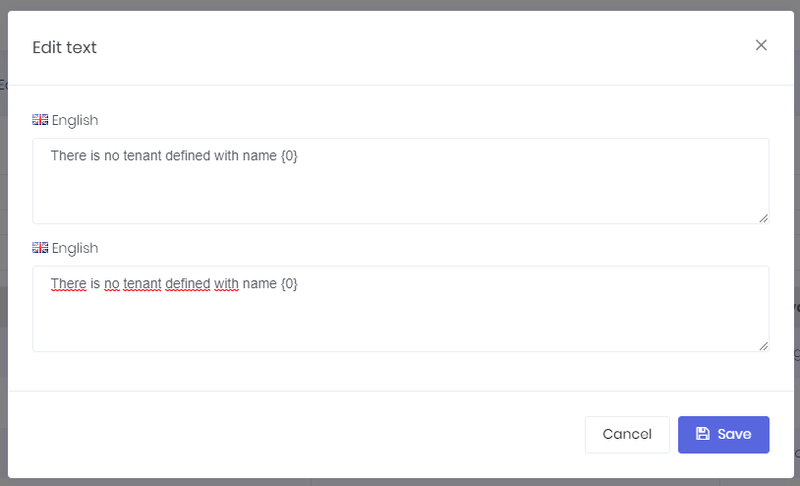 We can create new language, edit/delete an existing language and set a language as default. Note that; tenants can not edit/delete default languages, but host users can do. 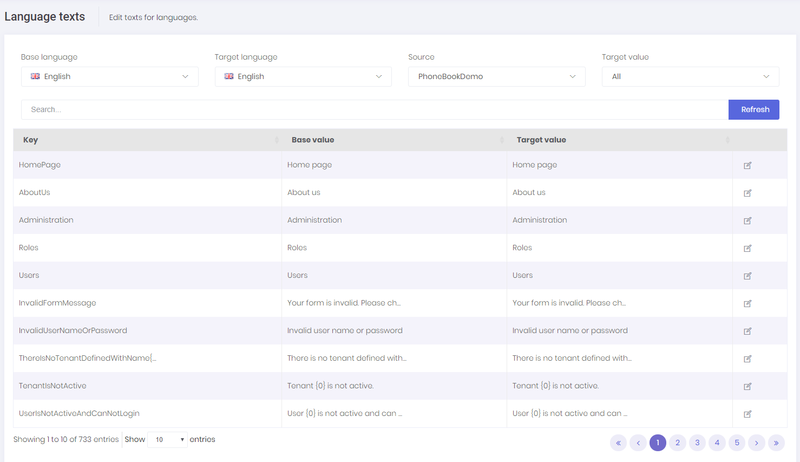 Host users (if allowed) can edit languages and localized texts. These languages will be default for all tenants for a multi-tenant application. Tenants inherit languages and localized texts and can override localized texts or can add new languages. Both pages use LanguageAppService class as application service. It has methods to manage languages and localized texts. IApplicationLanguageManager and IApplicationLanguageTextManager interfaces are used to perform domain logic (as used by LanguageAppService). See language management and localization documents for more information.